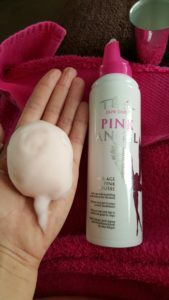 I am in lurrrrve with this creamy body mousse !! Leaves skin feeling silky soft with a slight sheen and has a soft subtle fragrance. It is surprisingly thick and a little goes a long way. It helps with ageing skin by helping tighten and firm those wobbly bits. Its Italian made so you just know its good!!! ”Wrap your body with your Angel of Beauty. Obtain and keep the youth of a tonic and beautiful body. 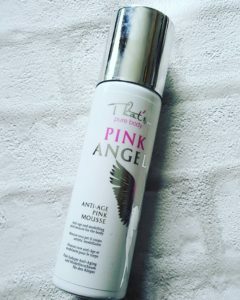 With its reducing effect, the innovative formulation of Pink Angel redefines body contours and smoothens and turn the skin divinely velvety.